Every time I see mention of Leiber, or read a review like this one, Todd, I think "must read some Leiber". I just shelved two hardcover collections and have four - or is it five? - Mouser collections in paperback downstairs in the library, so there's no excuse. What I am going to do is check this TOC against those two collections to see what/how many are present. A good task, not too strenuous, for a (sunny!) Friday afternoon. Well, whoever put this one together (I wouldn't be surprised if it was Judith Merril, given she writes the afterword, and was one of Leiber's biggest fans in literary and personal terms) was clearly aiming at a portable best-of in all but name. Though it avoids including any of the F&GM stories. If you have the big books that have attempted to represent Leiber, such as the 1970s BEST OF or the relatively recent CHRONICLES, you'll have most of these stories. I'm not sure you wouldn't be just as well served picking up your copy of SWORDS AND DEVLITRY, which is the first of the books of F&GM in internal chronology (their origin and meeting stories), but if you reconstruct most of the contents of this collection, you'll certainly have a sense of Leiber's range as well as his brilliance. I must admit I'm croggled, to say the least, that you've been reading in the field since the 1950s and resisted so far! I suspect you have a good time ahead of you. Oh, I've read all of the Fahad and Mouser books several times each, and a few other things, I meant "time to read some MORE Leiber"
I also remember Harlan Ellison being pissed at Leiber's reception from the literary elite and at Leiber's poor financial situation at the time, demanding "where's his goddamned Nobel?" 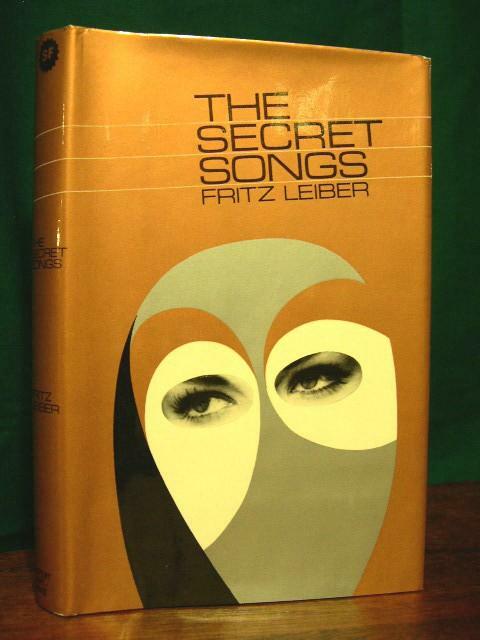 Leiber was certainly deserving of much more attention than the adulation of the SF community. Indeed, or solely the adulation of the fantastic-fiction community, Jerry. He wrote beyond the fields, and he has influenced most of the best writers ever to work in the fields after him...as well as notably bettering what he took from such influential contemporaries as Lovecraft and Robert Heinlein. Glad to have misunderstood you, Rick! Just to be clear, it wasn't that Leiber was disregarded by well-financed literary circles...like Vonnegut before the mid-'60s and Sturgeon, he was simply invisible to those who didn't know or care to know about the art of fantastic fiction. Todd, thank you for your comment on my blog. I mean to reciprocate. I always mean to comment on your blog but rarely (if ever) do because I am too intimidated by your conversation which often consists of authors and books I'm not at all familiar with. I don't know why that should make me feel slightly inferior, but it does. Well, you're quite welcome, and thanks for looking in here and commenting, and I hope that when I'm dealing with unfamiliar matters, I make them sound inviting and worth looking into when I find them thus...hope I don't sound too dogmatic too much of the time! And no, please never feel inferior...if I'm showing you something of interest, particularly something you haven't heard about before, they we've both succeeded! Good review of a wonderous Leiber collection. I wish NESFA or the Haffner Press would bring out an edition of Fritz Leiber's short fiction and novels. Despite winning Hugos, most readers only know Leiber from the Mouser series. Thanks, Evan and Scott. George, the Leiber estate's agent is not necessarily the easiest to work with, as I discovered first-hand years ago, and his career-retro of Leiber's short fiction, THE LEIBER CHRONICLES, was years late and underwhelming. That might be a factor.